After relaxing in the tropics, one can expect to be more relaxed and calm, feeling peaceful and rejuvenated. According to a paper published by the European Centre for Environment and Human Health in the UK, coastal environments in particular have a much more positive impact on people’s well-being than many other destinations. This effect is no surprise, considering how coastal and tropical environments have a way of removing people from the activities and environments that they associate with stress and anxiety. Nonetheless, most of us can’t spend every day soaking up the sun in paradise. Not to mention, bringing the ocean waves to your backyard, even if it were possible, would be impolite to surrounding neighbors to say the least. But, what if we could achieve the same therapeutic effect awarded by a tropical vacation without ever booking a flight, road trip, or even an excursion of any kind? Both in the world of design, and of environmental psychology, it has become abundantly clear how possible it really is to achieve this goal. 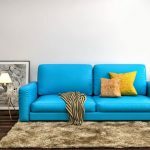 The way your home environment impacts your health and well-being can be altered in a largely positive way just by implementing a few small changes to your home’s design and/or decor. So, how exactly does one go about turning their home into a tropical haven? In order to answer this, we need to figure out what it is about the tropics that is so therapeutic in the first place. As in any environment, the impact on the residents or visitors there depends entirely on a combination of many factors, which cumulatively form the overall feeling of the space. Typically, in the most therapeutic coastal environments, there are a basic set of foundational components which make up the final design. 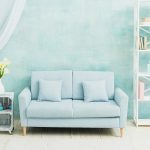 Recreating these things exactly isn’t always an option, but there are ways to recreate them, and reinvent them to fit your budget, preferences, and personal style. Just for a moment, close your eyes. Imagine yourself in a tranquil place; somewhere you feel at ease. 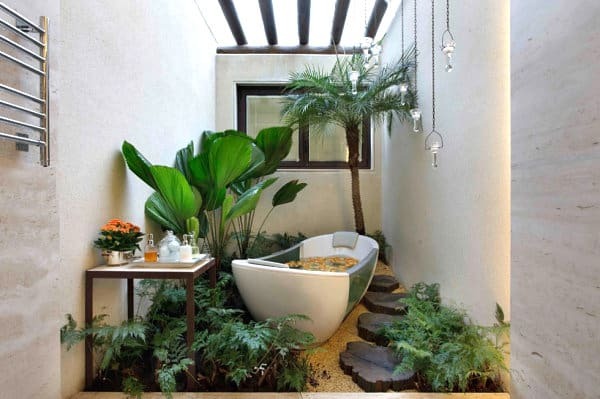 Now, unless you have a more specific idea of what your peaceful place is like, you likely imagined yourself in a zen setting with lush vegetation, and perhaps nearby was some sort of flowing water, right? A stream, a waterfall, or maybe the rush of ocean waves on the shore? There is a reason the brain connects these things with tranquility. From a scientific standpoint, plants are a crucial part of any healthy environment. Their effects on air quality specifically, are very effective for any home environment. They absorb the carbon dioxide in the air, and release it back into the air as oxygen. In the process, this also purifies the air of other toxins as well. Research even shows that plants can absorb sound, quieting noise both coming in from outdoors, and noise created indoors. Additionally, owning and caring for indoor and outdoor plants alike can be therapeutic if you have the time to care for them. This is especially true for those at points in their life where they may be living alone, or in a process of adjustment in life. For example, parents whose children have left home may benefit greatly from the sense of being needed, and caring for plants where they cannot care for themselves. Flowing water is also largely therapeutic for several reasons. It is thought of as purifying, washing away sediment in both a physical and psychological sense. The tides consistency is similar to that of breathing, and also correlates with the cleansing function of plants as well; In with the good, and out with the bad. There are several theories which attempt to explain the correlation between flowing water and tranquility. All we know for sure is that it works. Implement this by any means which adds any aspect of flowing water to your space. The options are limitless. 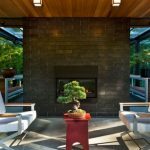 Whether you go to the extent of installing a full-on water feature, or simply hang a painting which features flowing water, the addition will surely associate with the tranquility of the source. A room drenched in natural light is like a breath of fresh air. Natural light is not just an important aspect of design, but a vital part of healthy living as well. Lighting’s effect on circadian rhythm, effects on mental function, and physical well-being are very important things to consider when designing any space. In fact, light even has a direct impact on our genes, having the ability to deter disease and vitamin deficiency. There is no doubt that nature does it best when it comes to lighting. 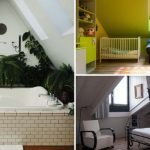 However, this isn’t always an option when designing within existing spaces, especially when you’re renting, and cannot alter the bones of the home. 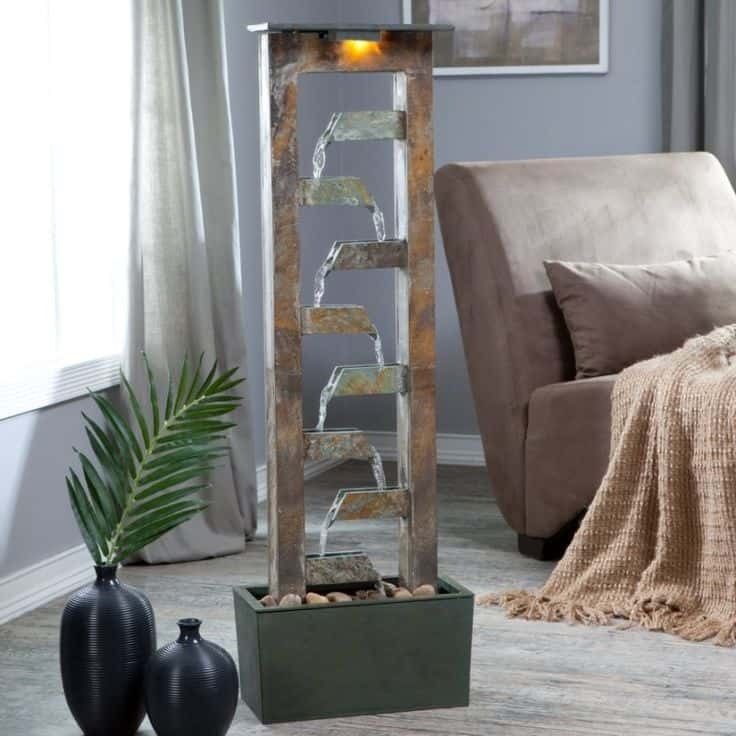 There are forms of light therapy decor which make this simple if it’s in the budget. One of these is called Sun Frame. This is a piece of technology which comes in the form of a piece of constantly shifting artwork. By illuminating the artwork throughout the day (set to whatever schedule you’d like), it performs like a supplement for natural light indoors. However, if you don’t have upwards of a grand to spend on light supplementing technology, you may want to seek other options. Luckily, there are plenty of more economically sound options to achieve this same effect. For example, being sure to do-away with all heavy or opaque window-coverings is very important. Light curtains with additional window covering behind, which can be retracted, is a great option for increased privacy when needed, or to block out street or city light at night. 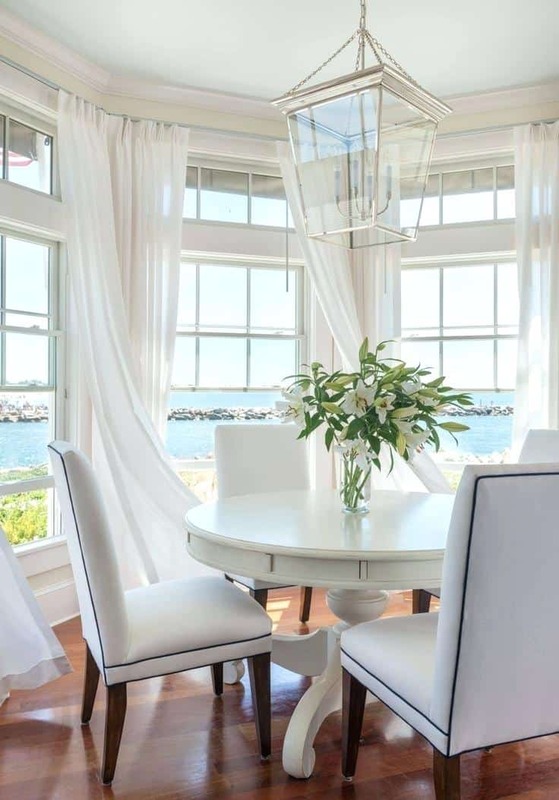 Go for a semi-translucent fabric for the curtains, ideally in white or light color, to allow light to pass through while still providing some privacy during the daytime. Another cost-efficient option is to place mirrors adjacent to natural light sources. 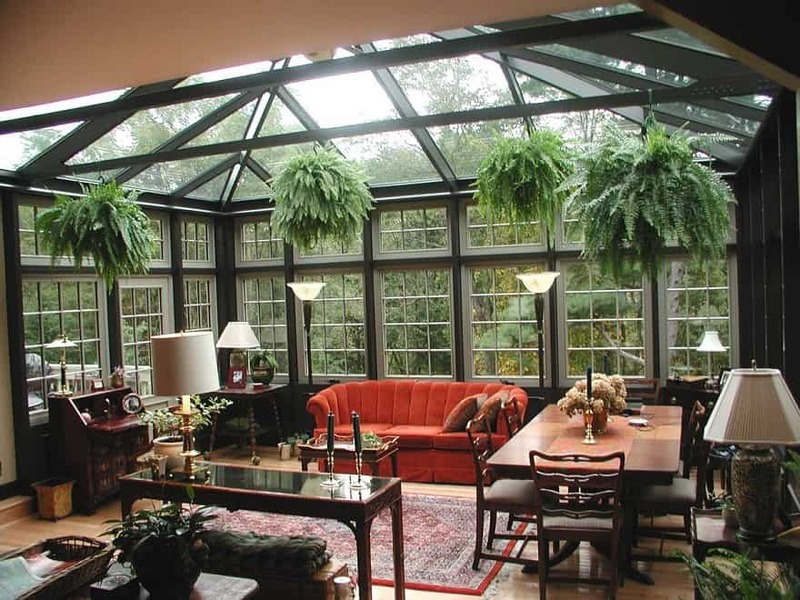 This reflects and multiplies the amount of natural light, and actually makes the room feel more spacious. In fact, the more reflective or clear surface area in the room, the better. Keep in mind that every solid object is blocking light coming from behind it from getting to the other side! 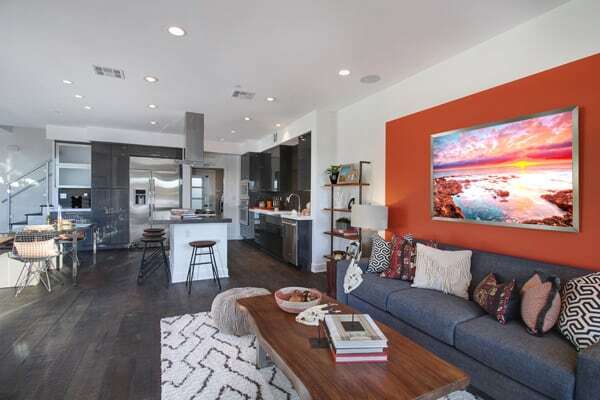 Using light colors is another great choice for making a space feel more spacious and well-lit. White or light grey walls can reflect existing light even further. Not to mention, they provide great contrast for any colorful artwork and decor you add to the space. Quite possibly the most widely known attribute of tropical design is the use of bright or contrasting colors. 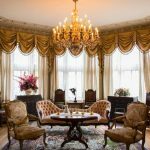 This is used quite a bit in coastal regions, but must be used with a tasteful eye to remain authentic, and avoid erring on the side of tackiness. It is important to keep tranquility on the forefront while incorporating colorful artwork or pops of color into your space. One of the most common forms of colorful artwork and decor used in coastal and tropical decor is mosaic tile-work. This is highly versatile, and can include any colors you want! This is a great option if you have access to old tile, mirror, and glass which you can turn into artwork yourself if you like to get creative. 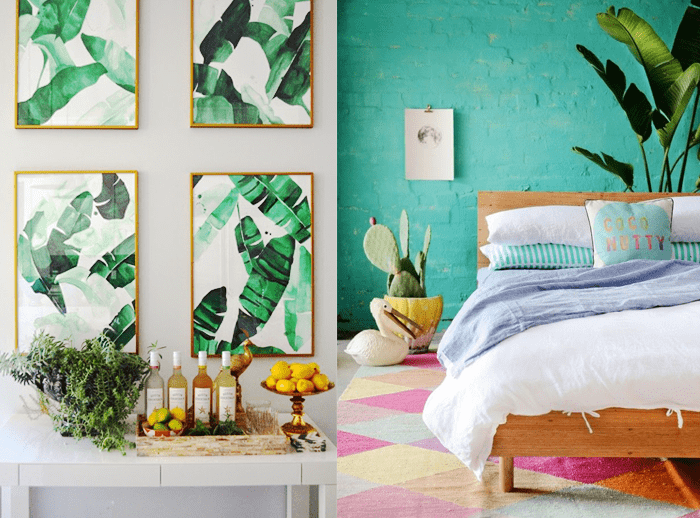 Another way to add color to your space is with a mural. Many coastal murals include tropical plants, flowers, mountains, waterfalls, and landscapes in general. 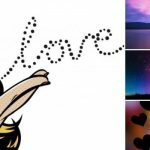 These murals can vary in the style of art, and range from realistic colors to almost cartoon color-schemes depending on the desired energy of the space. 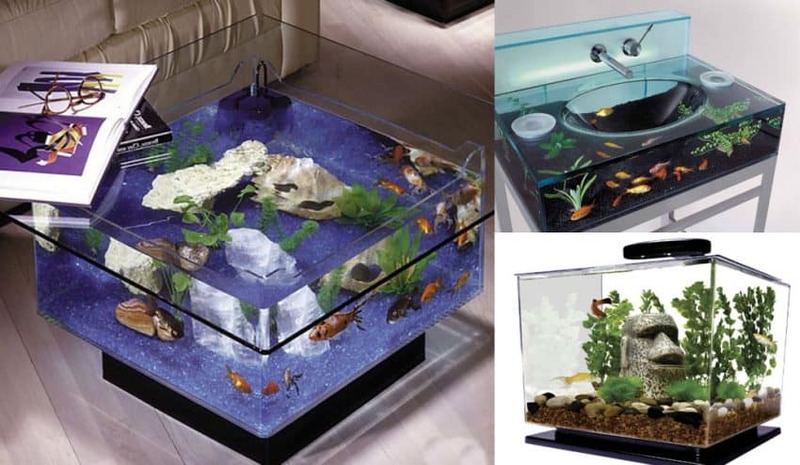 Another idea for incorporating color, nature, and a water feature all in one is to add a saltwater fish tank to your space. The tropical fish will create motion and color, and add liveliness to the space, while the water will contribute to the tranquility, and also provide as a reflective or translucent surface depending on how the light reflects. 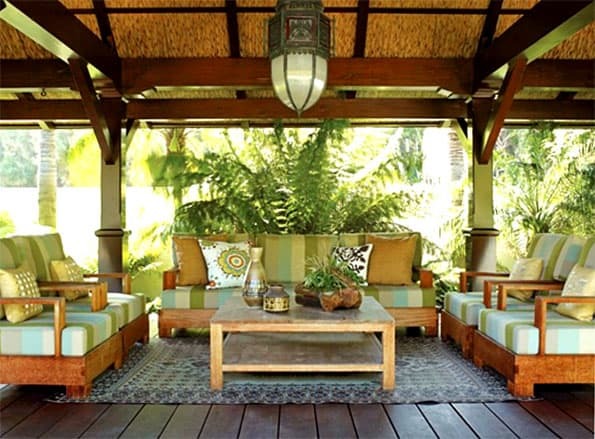 In tropical environments, the locals use what is available to build and design their spaces. This might mean weaving split bamboo into room dividers, emptied coconut shells for candle-holders, pallets for furniture, etc. Especially in remote areas, there usually aren’t any big-box hardware stores nearby to purchase design and building materials. So, making it work with what’s around is usually the best option. One of the most common ways this is done is by repurposing what is directly on hand. This also reduces waste during construction and design projects, and tends to decrease transport costs, as well as completely eliminating the resources used in transport. 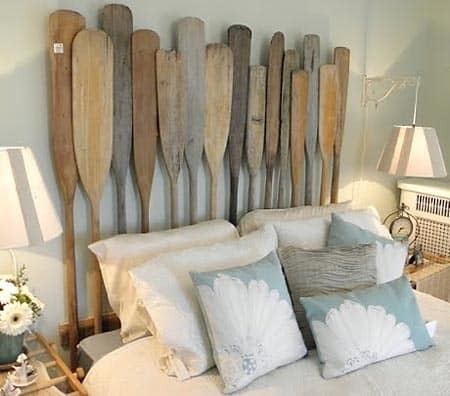 So, rather than doing away with old decor and furnishings, try to repurpose them first. It’s amazing what a fresh coat of paint can do, and your conscience will thank you as well! 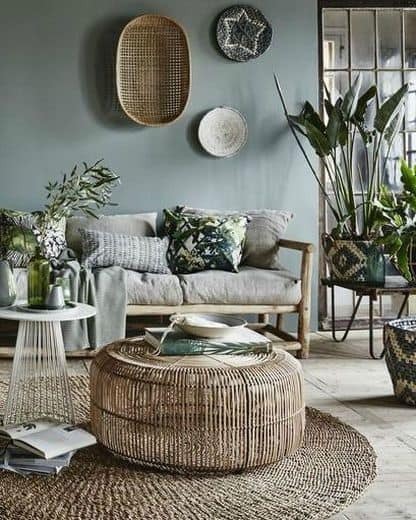 More specifically to creating the look of tropical design, any woven fabrics, natural textiles, and decor will make your space look like it belongs on the beach. In an effort to take this a step further, source these textiles or decor from a location which makes them by hand from locally-sourced materials. This will undoubtedly create a more authentic feeling in the space, as well as a conversation piece for visitors. 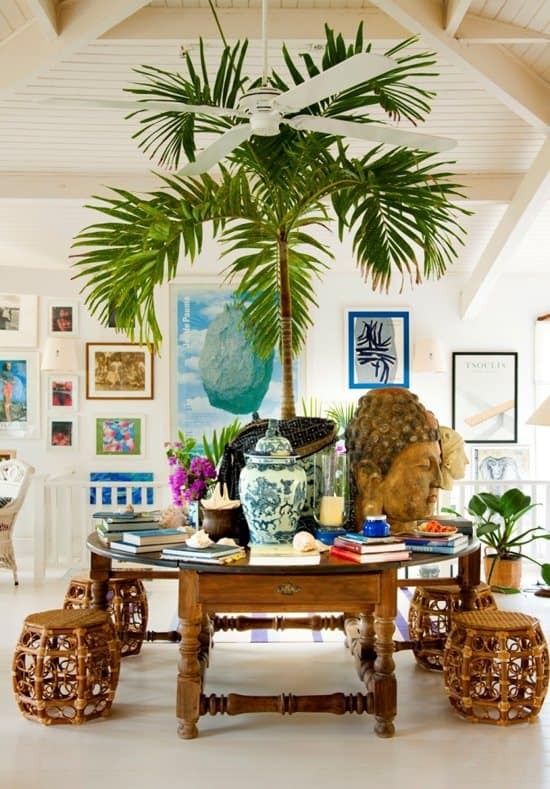 In conclusion, incorporating tropical or coastal design to your space can be a very healthy decision. 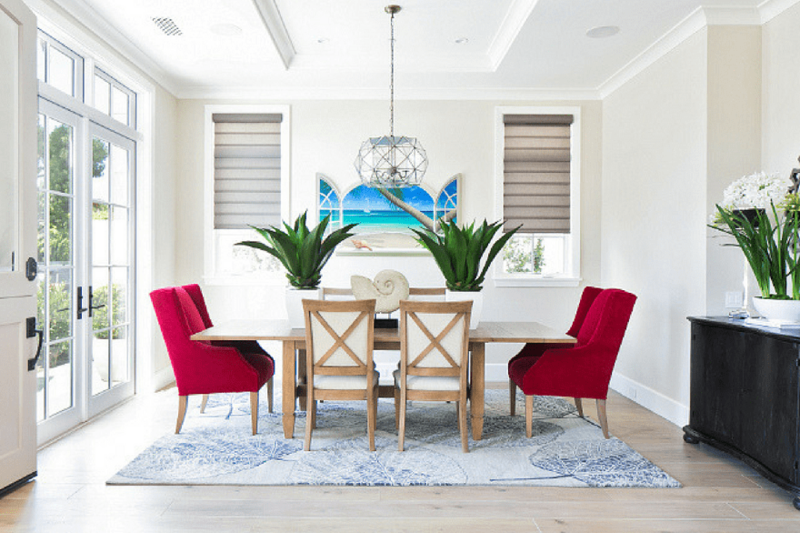 Whether you decide to incorporate simple changes, or completely transform your home into a coastal paradise, it is a surefire way to make your space the calm away from the storm.